Standing nine stories tall directly across from Chelsea Market, 61 Ninth Avenue sits in the heart of the Meatpacking District. Designed by Rafael Vinoly Architects, the new 170,000 square foot commercial structure rises 135 feet tall. Vornado Realty Trust and Aurora Capital are the developers of the project. The massing of the building comes with a number of extracted corners that form mini cantilevers above square and rectangular-shaped terraces on multiple levels. Large floor-to-ceiling glass windows enclose the structure, and also let in plentiful sunlight for office workers. The oversized dimensions also give the exterior a more open feeling from the street. 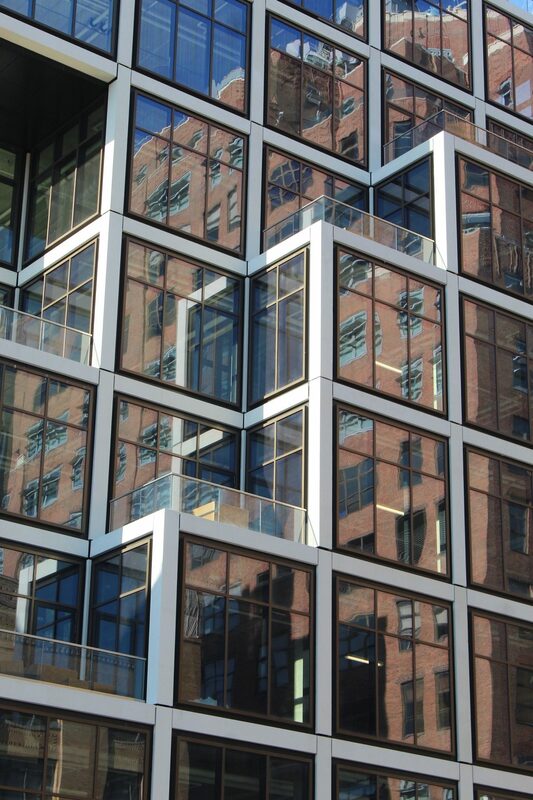 In places where the building forms an indented corner, the glass windows visually create a seemingly continuous run without the grid of white metal panels between framing each window. 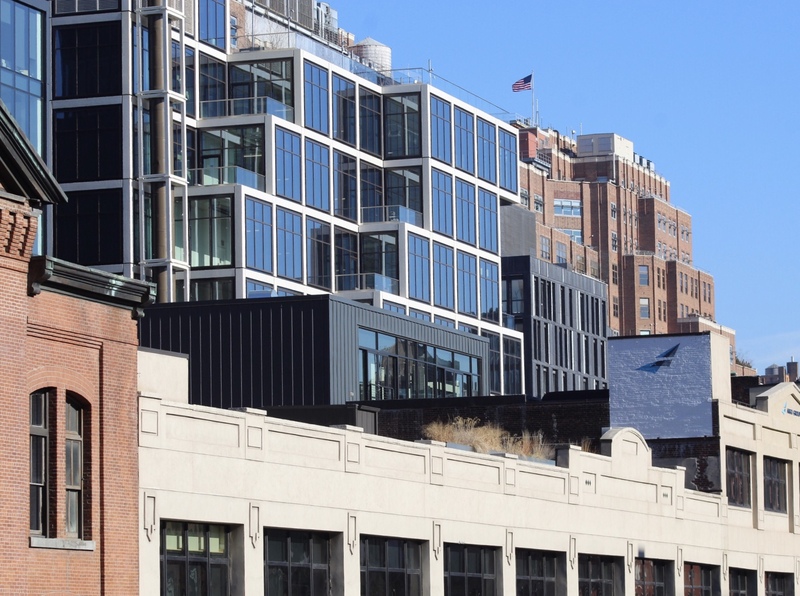 The best view of 61 Ninth Avenue is seen looking north from West 14th Street, or on the High Line at the wider southern elevation. Back in December of last year, Starbucks opened a new three-story, 23,000 square foot space dubbed “Starbucks Roastery New York.” The dark brown-colored interiors are fitted with huge roasting machines, contemporary interior design and a 60-foot mixology bar called “The Arriviamo Bar. Starbucks plans to occupy the space under a 20-year lease. 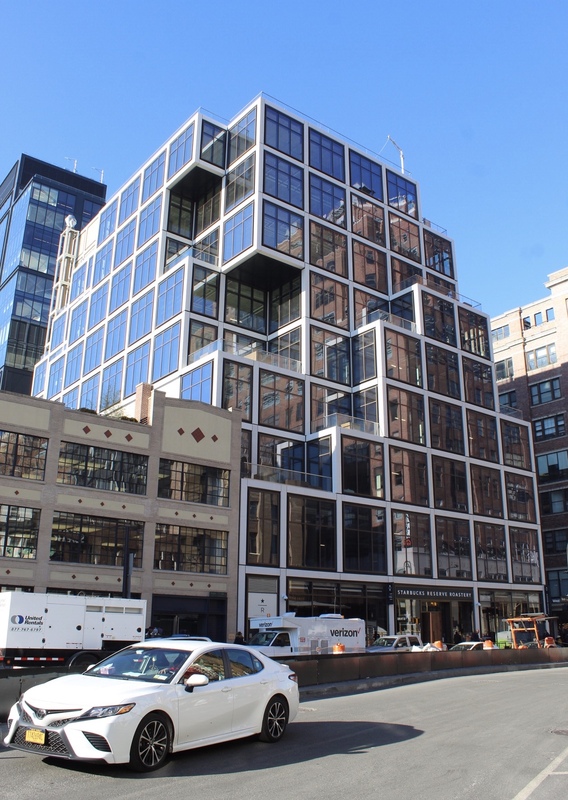 In recent news, Vornado and Aurora received $167.5 million dollars in refinancing for 61 Ninth Avenue from Landesbank Baden-Würtemberg. The seven-year interest only loan will mature in 2026 and will replace a previous $90 million construction loan from Helaba and CIT Group. 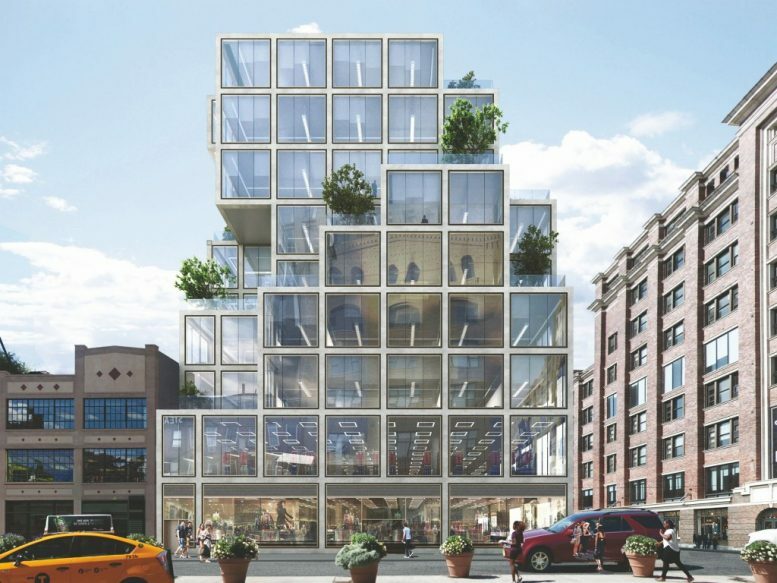 4 Comments on "Work Wraps for Rafael Vinoly’s Futuristic 61 Ninth Avenue, In The Meatpacking District"
He writes on everything and very rarely makes an educated comment. This looks like a down market George Pompidou Center. Nothing futuristic about ripping of a 1970’s masterpiece. Let’s call this neo-modern architecture.